DEVELOPMENT OPPORTUNITY! HOME ESTATE AGENTS are privileged to offer the opportunity to purchase this three bedroom detached property which is occupying a generous size plot. Ripe for development of either the current bungalow or a new dwelling being added, subject to the relevant planning permission being granted. Currently the bungalow offers hallway, lounge, open plan dining/kitchen, three bedrooms, en-suite to second bedroom, two piece bathroom suite and separate W/C. The property is warmed via warm air heating and is double glazed where specified. Externally the property offers gardens front, side and rear with off road parking, carport and single detached garage. Being located on this tree lined road in the heart of the prestigious Ellesmere Park the property boasts a private plot whilst still being conveniently position for the shops and restaurants Monton High Street offers. Given the plot size and the potential we feel this property offers the opportunity to either develop the current property or the creation a whole new residence if so desired. Offered with NO VENDOR CHAIN! Call HOME On 01617898383 to view! 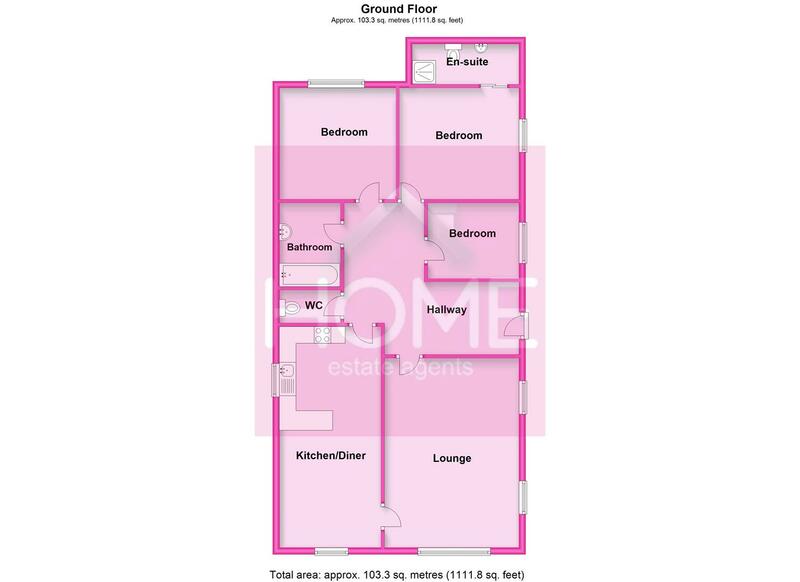 GREAT SIZE PLOT WITH LOTS OF POTENTIAL!